During the first Presidential debate Mitt Romney was asked what he would cut in the Federal budget. 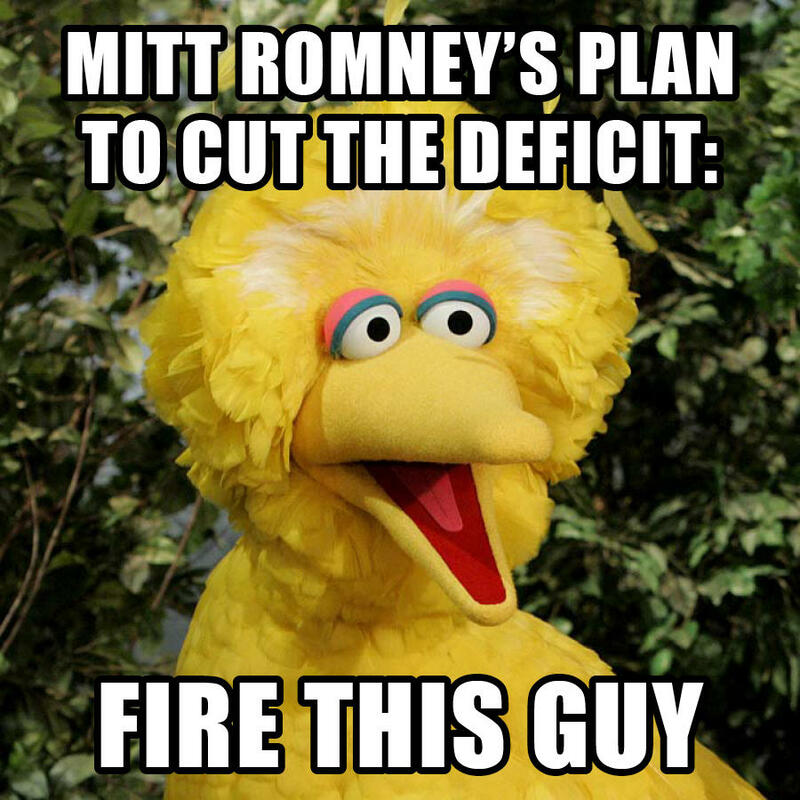 His response was that he’d cut Obamacare (which reduces the budget deficit) and he’d cut PBS and Big Bird. So, he’d increase the budget deficit by repealing Obamacare and he’d reduce the budget deficit by cutting funding to Big Bird. Let’s look at those numbers. The US Federal Budget for 2012 is $3,729,000,000,000 ($3.729 trillion) and the funding for PBS is $26,650,000 ($26.65 million). 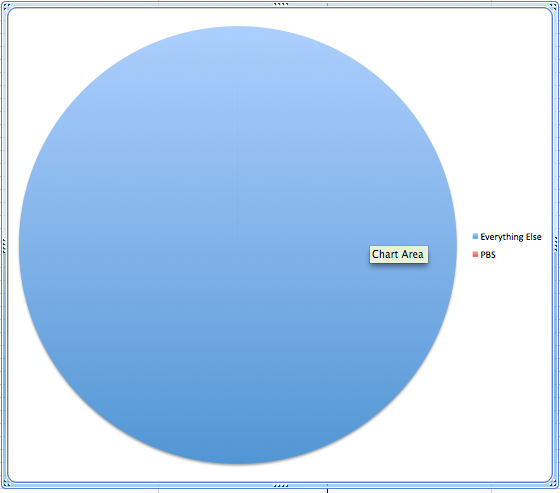 Now, trillions are really hard to understand by the human mind, so here is a pie chart I made in Excel that shows the total budget. Right, so when asked what Mitt Romney would cut.. that was his answer. That damn subsidy to PBS and Sesame Street (which successfully educates our nation’s children for a ridiculously small figure) is what Mitt Romney reaches for when asked what he would cut. The Federal Budget has another set of subsidies in it for oil companies, which totals around $4,000,000,000 ($4 billion). The oil companies post record profits every quarter, but that amount of money could pay for PBS 153 times over! Ok, but regardless of the size of such subsidies, those fiscally conservative Republicans want to cut all of these government subsidies, right? Well, we know that Republicans love tax cuts, right? Surely they’d support some tax cuts? Ok, ok, but small business and innovation. I KNOW they love some small businesses who innovate… right? Earlier this year, Republicans in the Senate filibustered a bill which would stop that subsidy to the oil companies and instead would take part of that money and apply it to paying off the debt and take the rest of it to provide tax credits for companies who are trying to innovate better technology for solar energy, electric cars, etc. Lower spending. Tax cuts. Small Business…. all filibustered by Senate Republicans.